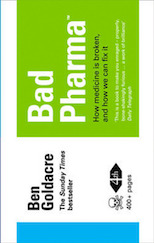 Readers of Ben Goldacre (Bad science, September, 9, 16 and 23) might come away with the idea that my company’s collaboration with Durham county council to supply free eye q capsules to all GSCE students for the 2007 academic year is a publicity gimmick aimed at generating bogus research data. Nothing could be further from the truth. 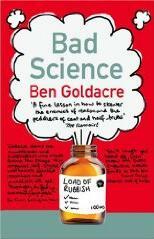 Dr Goldacre’s criticism seems aimed at what the initiative is not, rather than what it is. It not is a clinical trial, just an initiative aimed at giving a simple nutritional input – omega-3 and omega-6 oils – to GCSE students in a region where children are underperfoming. It has the enthusiastic support of the schools, the pupils and their parents. There is a lot of research, some of it using eye q, and a significant part of it undertaken in Durham, indicating that ensuring a good input of fatty acids in the diet can have real benefits for brain function. In the classroom, this can mean enhanced concentration, and ability to absorb information. So the initiative is purely to see if supplementation may enhance academic performance. If children taking part show better than expected results next summer, this may pave the way for a full clinical trial to find out exactly why. Every major nutritional authority around the world calls for us to have more omega-3 in our diets. Equazen has collaborated with Durham council in various projects in the past. I am constantly impressed with the way that a local authority in northern England is, on it’s own initiative, investigating the linkage between nutrition and classroom performance. This idea is now widely accepted, thanks to many others, including Jamie Oliver. There is, however, a lot of further work to be done. So I have no doubt that in coming years, giving omega-3 supplements to school children will be standard practice. Much of the reason for this understanding will be the pioneering and progressive work undertaken by the Durham county council. it is very easy to be confused and misled by that site. i think the problem is that it’s driven more by ego than by a desire to present the facts plainly and clearly. Equazen are now referring to “The Durham Trial” in their own advertising (there’s a poster in a health food shop near me) and on their website ( www.equazen.com/default.aspx?pid=23 ). Surely they’re in contravention of advertsing rules if their own chief executive says it is “not a clinical trial”. I’ll try sending the link to the ASA and see what they say.